Unique receptacle with a hand-decorated wood-look finish. This indoor/outdoor receptacle integrates earth-friendly colors and modern plastic to give a contemporary yet inviting look. Unique receptacle with a hand-decorated wood-look finish. 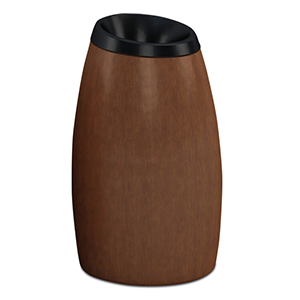 This indoor/outdoor receptacle integrates earth-friendly colors and modern plastic to give a contemporary yet inviting look.